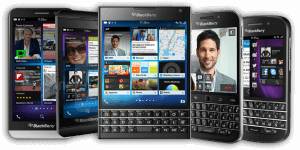 Blackberry 10 users have just been hit with another bad news as Blackberry has officially announced that they will be stopping support for their blackberry 10 devices. This is coming few months after WhatsApp and Facebook announced that they will be no more support or updates for all blackberry devices. So this means current blackberry 10 users only have two more updates to go before the updates finally stops coming. If you happen to be a Blackberry 10 user then you are left with two choices. It's either you switch to other OS or you wait until Blackberry release their Android devices.